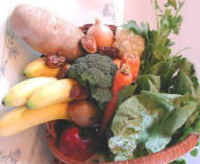 (Peaches, Donut) Donut peaches get their name from their flattened shape and depressed center, which resembles a donut. We purchased these sweet and flavorful donut peaches at a local farm store, where their cost was less that half that of the supermarket. 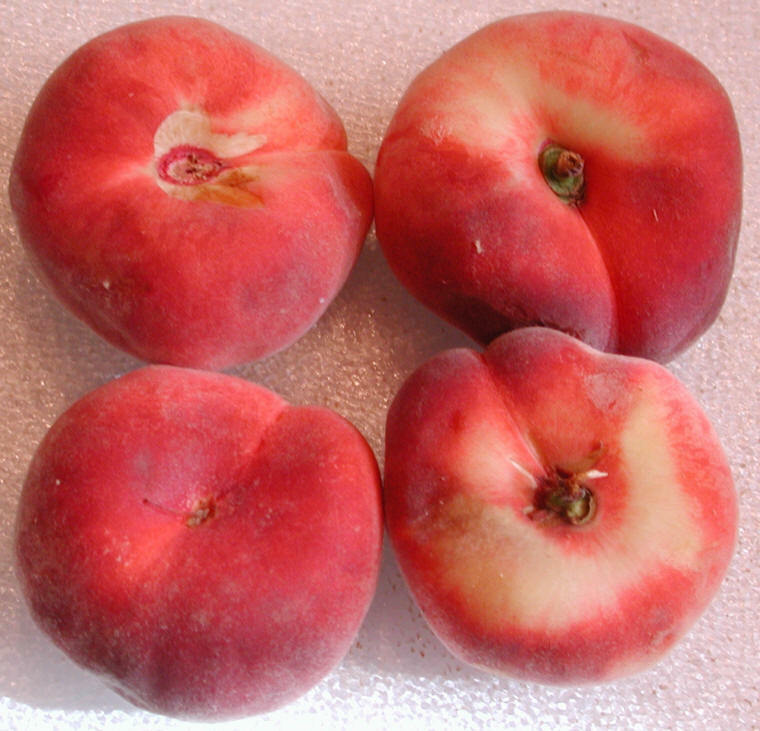 Ripe donut peaches are very juicy, and are one of the best tasting peaches we have eaten. They also have a small free-stone pit, and are the least fuzziest of the peaches we have tried. Wisegeek says: "The origins of the donut peach can be found in Asia, where flat peaches have been cultivated for centuries. In the mid-1800s, several varieties were exported to the United States, and Chinese flat peaches, as they were called, became popular for a brief period of time. The fruits fell out of fashion, however, and the flat peach was considered an essentially lost heirloom variety until the 1990s, when it began to enter widespread cultivation again." We could not find any nutritional information specifically for donut or flat peaches. For general nutritional information see peaches.